Brisbane is a prime location for travel expos. A travel expo exclusively for over 50s has been organised by The Travel Team, for Saturday, 24 March from 9.00am to 1.00pm at Brisbane’s Pullman Hotel. The Travel Team created the event specifically for the over 50s, so participants can easily research and compare hundreds of holidays, all in one place, on one day. The Travel Team says holidays on offer range from luxury world cruises to authentic Aussie adventures. 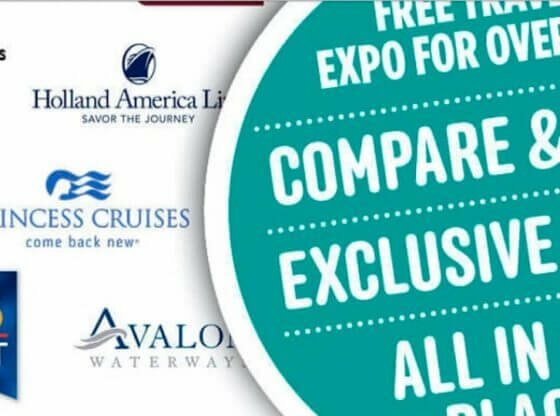 More than 30 major exhibitors are expected, including APT, Evergreen, Holland America, Princess Cruises, and Scenic. As is usual with Expos, exhibitors are offering ‘on-the-day’ only deals as an extra incentive to attend, and the offer of being entered into a draw to win a $1,000 travel voucher and many other prizes. Morcombe says more over 50s are showing interest in adventure and cultural experiences. So for those travellers, China, South America, the Arctic/Antarctica, Vietnam, the Himalayas and other exotic destinations will be available from exhibitors. And with no kids to slow them down, over 50s are taking much longer holidays, often stretching into several months, rather than just weeks. “This expo is a great chance for over 50s to explore the world in one day,” Morcombe says. Perry Morcombe and The Travel Team have selected only holidays suitable for over 50s. “Every travel experience on offer has been hand-picked for this market,” Morcombe says. Travel Team has been in the travel business for 20 years, and their customers are like family. As this is Travel Team’s 20th Anniversary, they will give away prizes every 20 minutes throughout the Expo, which is free entry. Register at travelteam.com.au or call 1800 300 999 for more information.